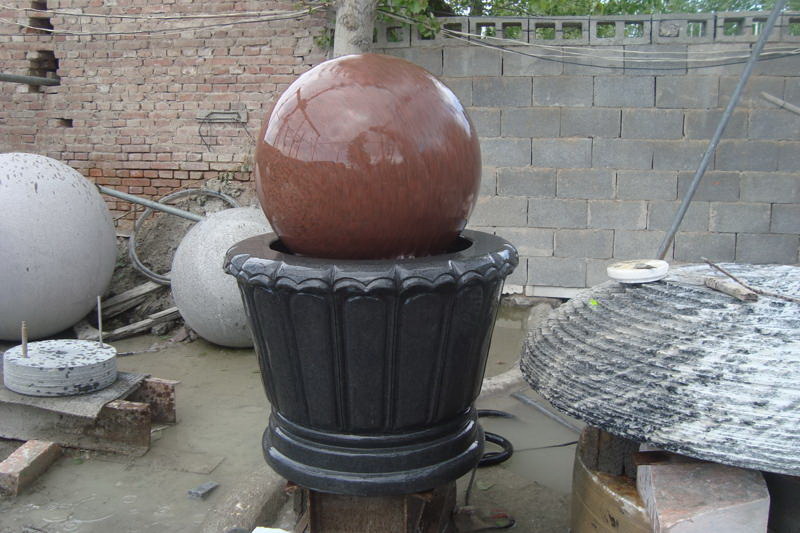 Description: 24 inch India Red Granite Sphere with self-contained Black granite base model Foreman but with decorations on sides from Granite55 base. Rolling Sphere Fountain will have three holes out the bottom to accommodate a supply line, return line and automatic refill line. IN STOCK READY TO SHIP FROM FACTORY.